SKIT very well understands the gap between academic curriculum and industry readiness. So we serve as a bridge training the aspirants to be industry ready. Apart from new entrants, we also train corporate employees, helping them stay cutting edge. Certified training partners of Oracle Workforce Development Program (WDP) and Tally Institute of Learning (TIL). Tailor made training curriculum to suit the needs of various audiences. Clients include big corporates, business houses, faculty members and aspiring students. Training is an ongoing process for the employed workforce and a key aspect for the fresh minds. Training facility is supported on-site at our City Center and at our campus. 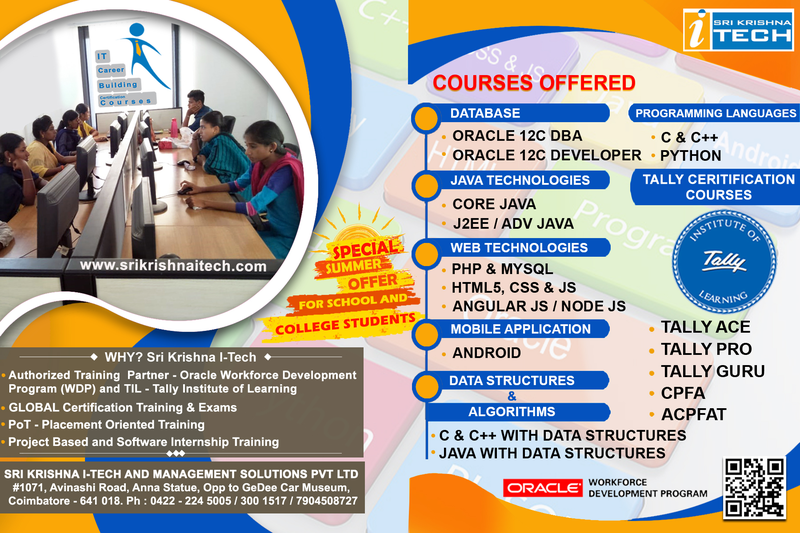 For Oracle, Java and Tally student the course materials (e-Kit) will be provided by Oracle and Tally Academy. We periodically recycle and transform our course materials and teaching methodologies to suit present day requirements.